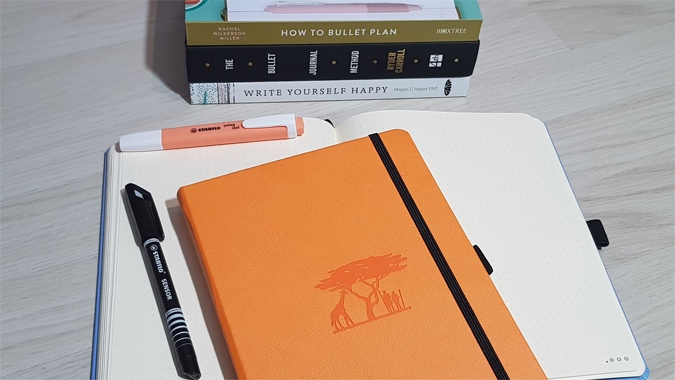 In my 2019 goals post, I wrote about my plans to get back into bullet journaling for the new year. 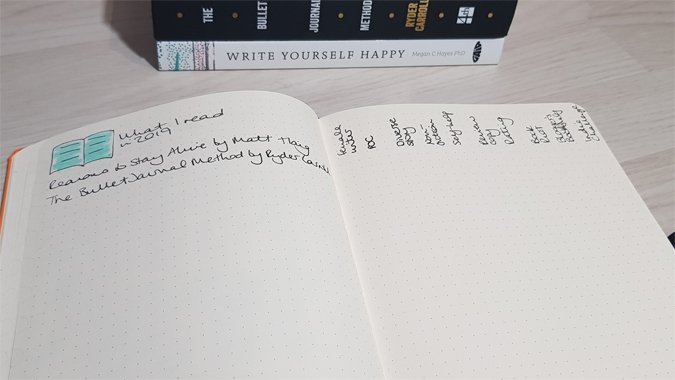 I’d used my journals sporadically for the last couple of years and, having read more and more about the benefits of journaling, I wanted to find a way to keep it up. 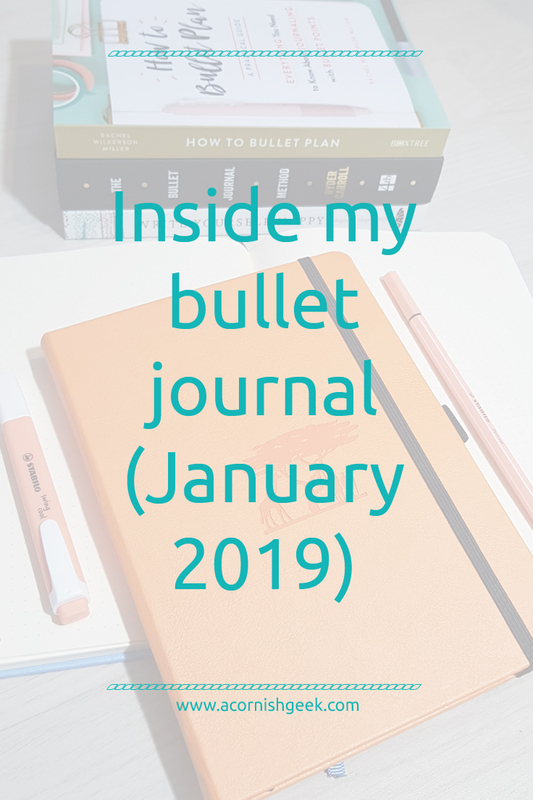 Before setting up my new 2019 bujo, I consulted Ryder Carroll’s The Bullet Journal Method to find out more about the heart of the process. I think keeping it minimal, rather than obsessing over my lack of artistic talent, is the way to go. 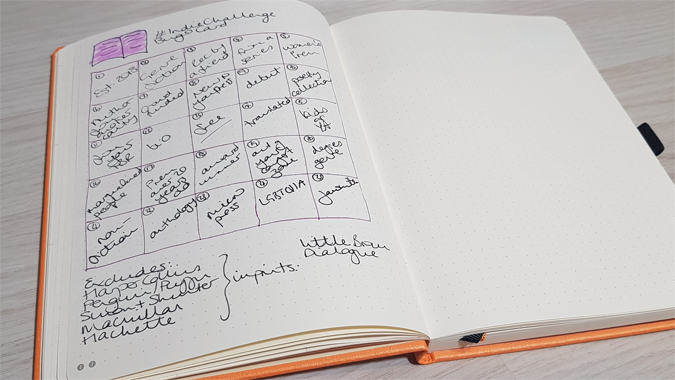 I know a lot of people stress about the way their bujos look (myself included) and that can have a negative impact on the huge variety of potential benefits. I thought I’d share my January set up and then reflect on my use of these spreads at the end of the month to encourage readers to worry less and act more. First, the journal itself. I’ve gone with another Dingbats Earth Journal because I couldn’t bring myself to commit to one of the many other dot grids I had lying around the house. I was gifted the Great Barrier Reef one last year and now I won’t use anything else. I bought the Serengeti edition for the new year and will probably switch up the colour again next time in order to own the full set. 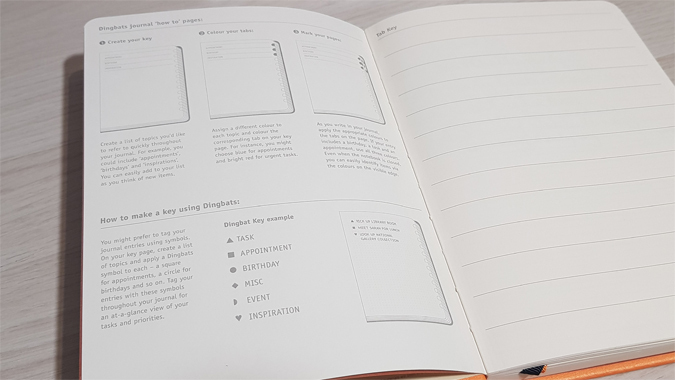 What separates the Dingbats from a lot of other dot grids is the built-in page numbers, index and future log, plus nearly 200 100gsm pages. It also has two page ribbons, instead of the usual one, and easy reference tabs. 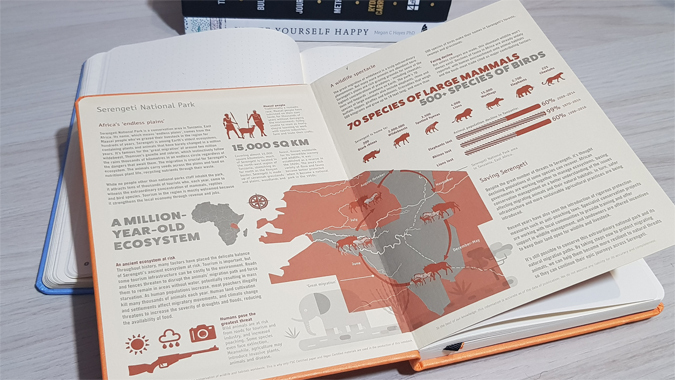 Oh, and if you’re a paper addict like me, you’ll be pleased to know that it’s made from vegan leather and the entire journal is 100% recyclable. I initially hoped to use this journal for the whole year but I think six months is probably more realistic. 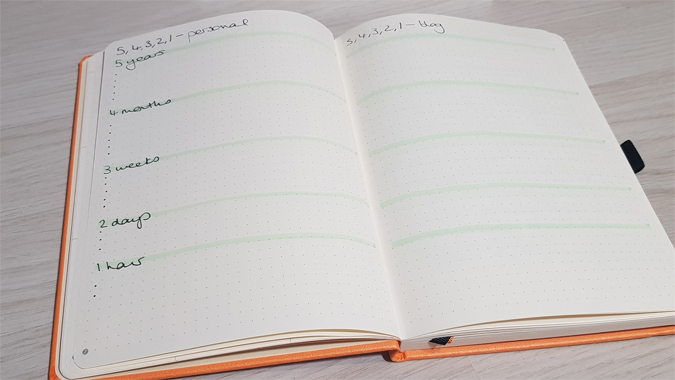 I keep a separate day-to-a-page diary for my day job to track my meetings and such (but I’ve found using a bujo system within these pages so helpful) and a separate diary in my day bag for appointments and Jenson’s busy schedule. My bujo is primarily for my own goals and blog planning. 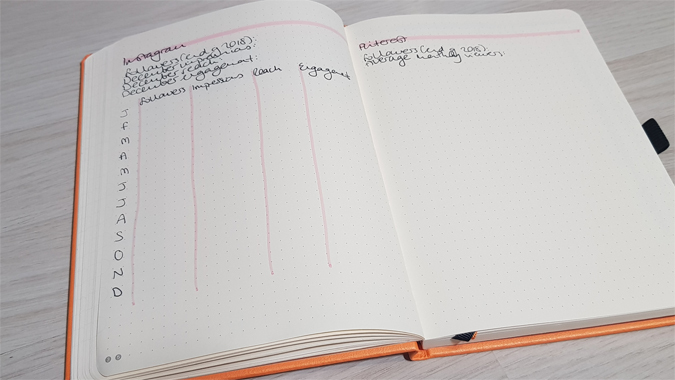 I’ve set up my future log across two spreads for the rest of the year to note key campaigns, blog tours, book publication dates, etc. The calendar is handy to see things at a glance and there’s plenty of space for key dates. Something I loved in Ryder’s book was the 5, 4, 3, 2, 1 spread, where you note goals for your personal and professional life. I have a separate page in my work diary for day job goals and have used my bujo spread for personal and blog goals. 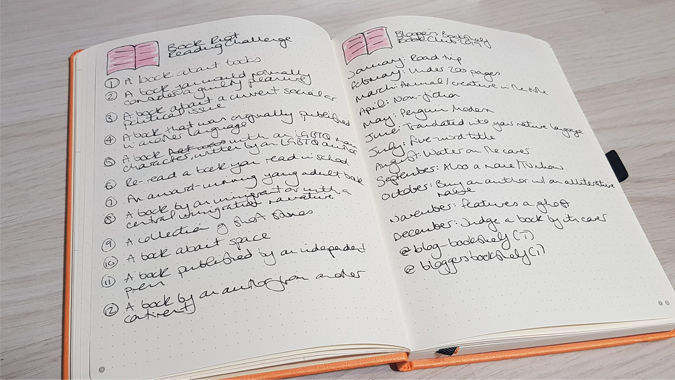 While I use the Goodreads app to track my reading throughout the year, I wanted to note the various challenges in my bujo for easy reference. As well as the challenges, I’m also tracking my reading more generally, highlighting my effort to read more diverse titles. I thought it would be interesting to track how many books are written by women, by people of colour, how many of my books read are review copies, and what my overall ratings are. I had planned to just show my templates in this post but got carried away and added a couple of titles before taking these photos. For the last few years I’ve been trying to find the time to watch more films, so I thought I’d track them too. I went to the cinema four times in one week over the Christmas break and something tells me that’s going to be a very rare occurrence. I’m keen to not take up too much space with spreads that aren’t that useful and I loved the ‘year in pixels’ pages I spotted in some Facebook groups. 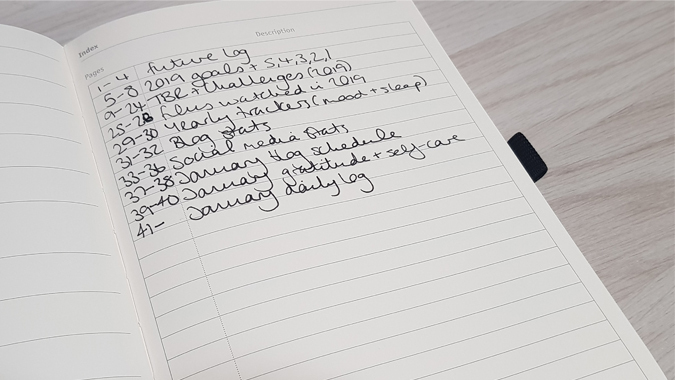 If it’s just one thing you’re looking to track every day for a year, it’s a really simple set-up and you can easily colour-code it. I’ve decided to track my mood and sleep patterns. While my mood changes a lot throughout the day, I’ve decided to focus on the dominant mood and not to have too many options: happy/excited, PMT/poorly, tired, stressed/anxious, neutral. 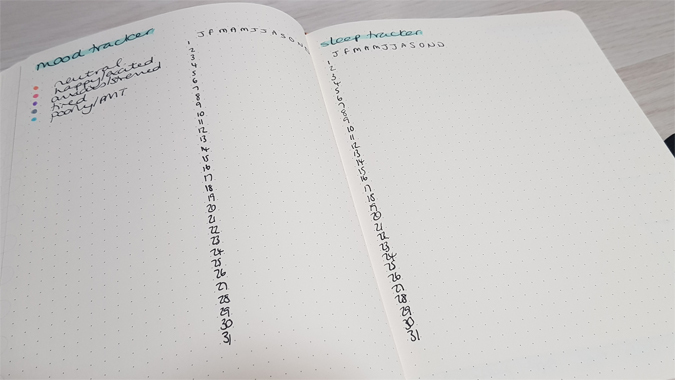 I have a pretty epic Excel doc which tracks my KPIs and annual blogging goals but I wanted something simple to see at a glance in my bujo. 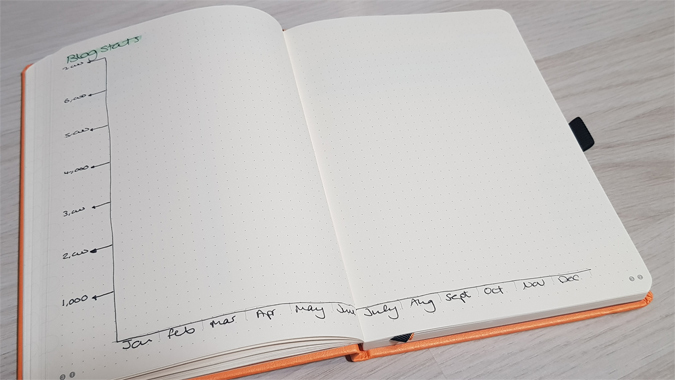 I’m highlighting my monthly page views and visitors, plus some key social media stats, and I’ll do a little reflection spread at the end of each month noting popular posts. This should help when I’m working on my schedule and to do lists. After seeing fellow bullet journalists complaining about pen and ruler fails, I’ve decided to keep these spreads freehand, although I might attempt a ruler in the future. In most bujos, the monthly spread will be a generic monthly what’s on and to do list. 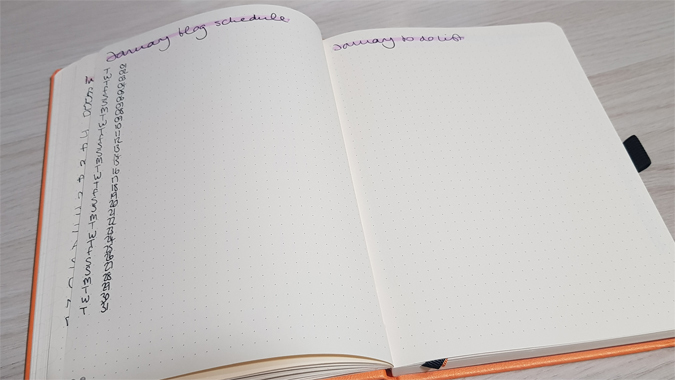 As my blog is my primary focus, I’m using my calendar as a blog schedule, alongside a monthly to do list. A lot of my activities are monthly to dos, such as stats and media kit update, but I have been thinking about setting up a separate weekly spread. We’ll see how January goes. 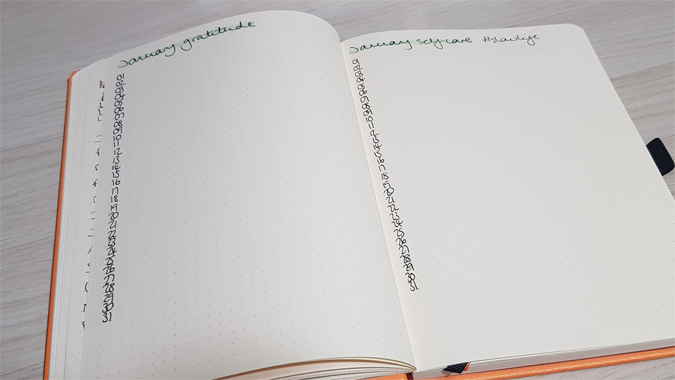 I have some more personal info and spreads here too, and have decided to focus on daily gratitude and self-care, giving me something positive to focus on every day. Something new for this year is a little daily reflection. 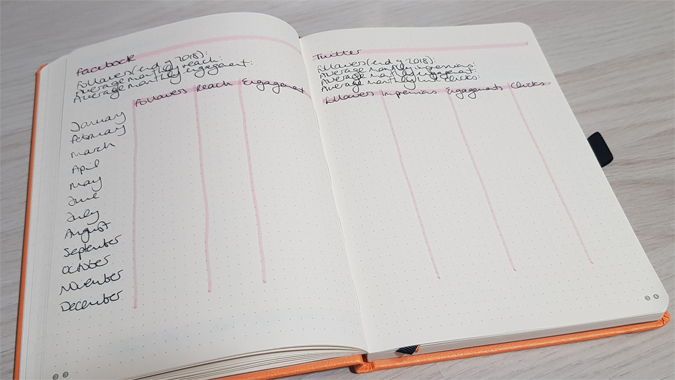 I have a daily to do list, mostly picking things from my monthly spread for each day, such as blog admin and noting Twitter chats, etc. My favourite bit about this is taking some time at the end of each day to reflect, primarily on the positives, but also giving myself the space to offload a bit. 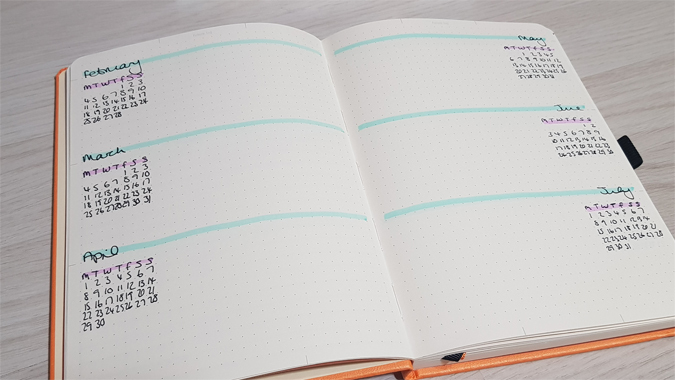 This section has the potential to take up a lot of space but I’m hoping the tips and tricks I’ve picked up from The Bullet Journal Method will keep this pretty minimal too. Let’s see how January goes! I’ve also been reading Rachel Wilkerson Miller’s How to Bullet Plan and I’m playing around with different setups for spreads, so I’ll report back on that soon. 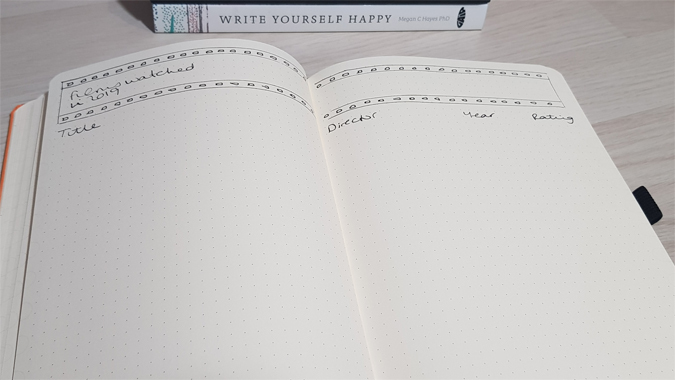 Have you started a new bullet journal this year? I love bullet journals! I wish I had the time and commitment to do one! I love how simple your spreads are! Thanks 😊 It’s really working for me so far. 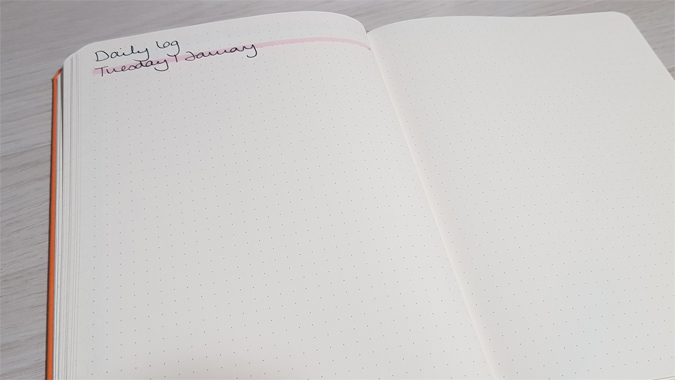 Ooh loving the minimalist spreads! This post made me miss bullet journaling. I might need to treat myself to a new journal!